iPod touch 4th generation to get FaceTime? Is this a new Apple iPod touch case? 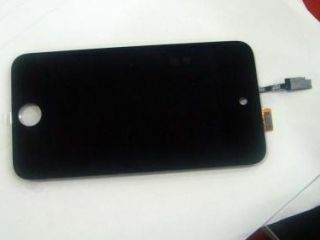 Pictures have emerged of what could well be a case for a new iPod touch – a device that Apple is rumoured to release this September. After refreshing its iPhone range with the iPhone 4, it's inevitable that the iPod touch is the next in line to get an update, with pictures showing a case that's primed for FaceTime, the video-calling technology. The images – which were sent to MacRumors – show a hole that would leave room for the front-facing camera needed for FaceTime. Adding this feature to the iPod touch makes sense – it may not have the call functionality of an iPhone, but FaceTime over Wi-Fi would mean that the humble iPod would have the ability to make video calls, while also being a dedicated media device. The iPod has been overshadowed by the launch of the iPhone. But what the iPhone still doesn't have is the memory capacity for most people's entire iTunes collection. As the last iPod touch refresh came with 64GB solid-state memory, we are expecting something a little more capacious this time around – enough for both music and video collections to be stored. The only problem with the front-facing camera is that this may squeeze out a rear-facing camera on the device, given that the new iPod touch will no doubt have a thinner chassis than the current iPhone 4.